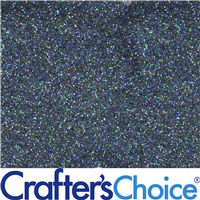 Lilac Purple Glitter consists of aluminum free, precision cut polyester particles. Resistent to solvents, water, UV rays. Maximum temperature exposure 275º F. Not recommended for eye contact. Size: 0.008". "Beautiful color even in a while M&P"
COMMENTS: Really beautiful true to color mica. Even in while M&P. Usually I have to go with a darker shade of whatever color to get what I’m looking for but with this I used exactly what I needed and it came out beautiful. So happy I found this. COMMENTS: I actually purchased this to put into lip gloss which i never ended up making. I will be using this in some bath salts to add a little glitter and make the salts look amazing. "Little goes a long way. " COMMENTS: I used this in my Halloween soaps. Clear soap base with an embed in the middle and the purple glitter suspended in the clear base nicely. A little goes a long way. I ordered the sample size bag and was happy with how much was in the bag. • Nice touch to soaps. COMMENTS: Beautiful & adds a GREAT touch to products. Customers love it. COMMENTS: Love the purple glimmer. COMMENTS: Used with my cold process soaps. Inside the soaps and a little on top, makes a beautiful soap! 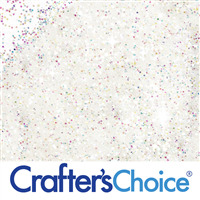 "great glitter for CP soap"
"Beautiful shade of purple "
COMMENTS: I love using this glitter in bath cupcakes, it adds a very nice finishing touch! It also looks great sprinkled on soap tops. The particle size is perfect for decorating! I just ordered a sample bag to try it out, I'm going to order the full size jars next time. COMMENTS: I love this purple glitter, it goes well with my Mermaid bathbombs. COMMENTS: Loved it great fine glitter beautiful color. "Lilac Purple Glitter Adds Shimmer"
COMMENTS: I used this to make a batch of Vanilla Lavender Bath Salt and was a great light color coat choice! I was able to coat my salts with FO. Will be using again for other projects! COMMENTS: Lovely purple. Very pretty color. COMMENTS: This product is amazing and makes even the ugliest disaster of a soap look pretty. COMMENTS: Use this color in lavender products, and the ladies love it! COMMENTS: I got this as a sample and used it to add some sparkling shimmer to some bath bombs. They turned out beautifully! Would definitely recommend to add some sparkle to your life! COMMENTS: Excellent color in clear soap. Gives off a wonderful sparkle. COMMENTS: I got this as a sample. It's very pretty! I used it to add a little sparkle to my bubble bars. It looks great! COMMENTS: Love this for on top of soap cupcakes. COMMENTS: I like adding glitter to the tops of my products to give them a little something extra. 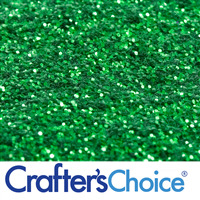 The crafters choice glitters are great. COMMENTS: Use to sprinkle on top of my soaps to add the special touch. Customers love it! COMMENTS: I received this as a sample and i absolutely love it! I'm usually not one to use glitter for my products, but this is sooo pretty i had to give it a try. Now i will be using glitter more often. Cant wait to try the other colors! COMMENTS: It's glitterific! Lol It's glitter and it's pretty so what else is there to say?! COMMENTS: It's purple and shiny, what's not to love?! COMMENTS: I used this purple to make Love spell soap! I never used before and I didn't quite add enough or mix enough and it settled on the bottom of the soap. I popped from mold and just cut the bars and looked as if the whole top of the bar was dusted. It looked intentional. The second time I used more and mixed well it blended just fine and definitely popped comparing to using liquid color! I will buy more! "Beautiful shade of purple! " COMMENTS: Just perfect for topping off on the tops of soaps! Very sparkly and just what you would expect from the picture. COMMENTS: You cannot beat the price of this. I got more than what I expected. It's really a great buy. COMMENTS: Received as a sample...it's more of a powdery mica dust than glitter. COMMENTS: This is my first try at using glitter and I love it! Worked well in my Cow & Calf bar soaps! COMMENTS: I love this glitter for bath bombs or for dusting on top of my soaps for a touch of shine. Beautiful purple color. "Such a pretty purple glitter!" COMMENTS: I love putting this glitter on my soap tops. It is such a pretty purple and I will order it again! COMMENTS: Used this on my Halloween soap. Stunning. Will use it on my lilac soap too, since I like it so much. COMMENTS: This glitter performs as expected. I used in bath bombs & it worked fine. COMMENTS: This glitter adds the perfect bit of bling to the tops of my CP soap! 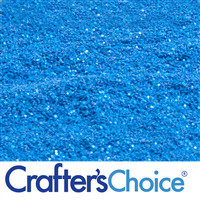 COMMENTS: Love this purple glitter for clear soaps to add that extra dimension. Add a little irrescendent glitter for a pop. COMMENTS: I received this glitter as a free sample with my order and have now incorporated it into shower gels, soaps and fizzing bath spas and I LOVE it. It is so fun and my customers love it, especially in the bath spas because they like how pretty the water looks after it's dissolved! COMMENTS: Love the color. mixes well with M&P. received as sample. Think I'm in love. COMMENTS: I absolutely love the color and consistency of this glitter. The color is even much more beautiful than the picture. The glitter is light and doesn't clump together like so many others do. It is very high quality glitter. COMMENTS: This is very pretty topping your cold process soap. No crazy color changes, adds pearl and glitter shimmers. 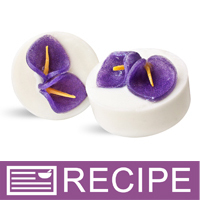 COMMENTS: I topped my lavender soap with these and made them look very pretty. "Hard to get out of the sample bag." COMMENTS: I took away 1 star because it is very hard to get out of the sample bag. I wasted more trying to use out of the sample bag then I used on my soap. It did sparkle a BEAUTIFUL purple! I was pleased once I got it out of the sample bag. Will be getting the bigger size next time. COMMENTS: I love how the glitters just take a tiny amount to add a big amount. This purple is true and I used it in a mold for a friend with a toy embed, and she was very pleased. COMMENTS: Perfect color for a little touch of sparkle in the spring. 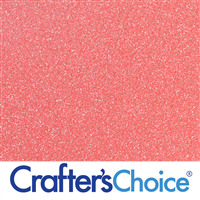 This glitter is fine enough to use with all of your spring products. "Beautiful effect in my clear M&P soap"
COMMENTS: Really gave my M&P soap that extra touch. Love it! COMMENTS: Used the glitter on the top of my soap. Created a beautiful touch. COMMENTS: Just when I thought I wasn't going to use any type of coloring in my whipped sugar scrubs, I tried the glitter instead and was hooked. Using the purple glitter turned my scrubs a nice light purple and you can still see the glitter specks. I chose to use the purple with the Mad About You fragrance oil for a Valentine's Day line of scrubs. 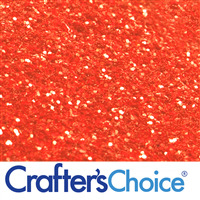 My next venture is red glitter in hopes I will get a pink scrub. COMMENTS: Perfect for bath salts and bath fizzies! COMMENTS: I love the glitters offered by this company. They are just as pretty in person as they are in the photo. This purple glitter is one of my favorites. I use them in and on my soaps. COMMENTS: This is a very pretty purple color. It works great for topping soaps to add a little colored sparkle. Nice size as well, not too small and not to coarse. COMMENTS: Beautiful color that makes for a beautiful product. COMMENTS: I have always used the liquid dyes, but I was willing to branch out to the powders. I picked this lilac glitter as a free sample with my first purchase from WPS. The color was not as bright as I expected when added to my shea butter soap base (also purchased from WPS) based on the appearance of the dry powder in the bag. The glitter did not suspend well, in fact the large majority of it sank to the bottom of the molds. At this point, I'm wondering if I did something wrong, like used the wrong base or something? I'm going to try the liquid dyes from WPS next time. WSP Response: Thank you for your review! The Glitters work best in the Suspension MP Soap Bases so that you get a more even color and the glitter doesn't sink to the bottom. If you do not have or prefer the Suspension Soap Bases, then you may like to use the Purple Glitter sprinkled on the top your soap for a decorative effect. COMMENTS: This is a beautiful color and I'm getting into a little more pop or decoration of my soaps. This glitter is an eye catcher and really enhances the product. COMMENTS: Sometimes you need a good lilac color - I personally use this one around Easter. COMMENTS: I used this when I made my Cotton Candy Sugar Scrubs. This was mixed with a Matte Pink and the colors together were beautiful. COMMENTS: I love this color of purple, a little goes a long way in my opinion. I just add a small amount to my soaps for some pop, it looks wonderful. COMMENTS: Adds beautiful hint of sparkle. Highly recommend. COMMENTS: This is great for adding a little sparkle to my lavender colored M&P soaps. I use it in WSPs crystal clear base. Be sure to let the base cool to almost pudding like texture or buy the suspension soap base so that the glitter won't pool at the top/bottom of your soaps. COMMENTS: I love the glitter. It goes great in many of my products. Again my problem with it is that I got a sample of it and it comes in a bag.. Do the larger qty come in a bag? Most of it stuck to the bag. COMMENTS: I ordered this to sprinkle on top of my melt and pour soap. The color is vibrant and looks beautiful on top of my soap. I ordered a sample and will be ordering in a larger size for sure. 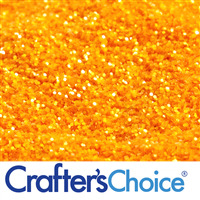 COMMENTS: I love this glitter it adds just the right amount of sparkle to my soaps. "Life without GLITTER is boring!" COMMENTS: Who doesn't love Lilac? 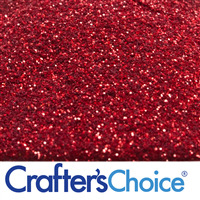 I use this glitter on top of melt and pour soap to give it added sparkle and glamour. It works great for swirling in clear melt and pour soap to give it some drama. The small particle size keeps it from being too abrasive. A little goes a long way. You can never have too much sparkle in your life! COMMENTS: A beautiful light lilac purple. COMMENTS: I've used this glitter in a few projects, but the one I loved the most was a Liquid Soap/Body Wash. It gave the PERFECT punch of color in a suspension soap base. It blended in very well too. Plus, IT's GLITTER :) Who doesn't love glitter!?! COMMENTS: Made a perfect embellishment for an otherwise plain bar of purple soap. What a difference a bit of glitter makes! COMMENTS: This glitter is very pretty on top of my CP soaps. It gives it a nice appearance and the customers love the color. "Great for Nail Polish! " COMMENTS: I use this micro-glitter in my nail polish & little girls love this color! COMMENTS: I made a batch of Cold Processed soap I sprinkled the tiniest bit on top. The soap came out Great and everyone fell in love with the look of the soap! COMMENTS: This glitter is better than any craft glitter ive ever used before. Youre gonna wanna get more than one of the sample bags, trust me. COMMENTS: Added this to my Lilac and Lavender soaps, loved it. It was such a great added touch and I know it would look great on its own and intend to use alone in next batch. COMMENTS: I tried this as a free sample and it's so special! Super fine. I will be back to purchase more. COMMENTS: I own each and every glitter and mica color that WSP makes. Love the colors and the prices. They are all so glittery and sparkly. Would not even consider going anywhere else for my glitters and micas. COMMENTS: I used this to put in my homemade liquid soap for my kids. This color showed up well and dispersed well with my soap. It also mixed well with the bluish turquoise glitter from WSP too. If you are looking for a true purple glitter this is it. COMMENTS: Such a pretty purple glitter! Staff Answer This glitter does not expire. "Will this glitter hold up in nail polish? Is it approved to be used that way?" 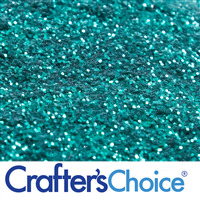 Staff Answer This glitter is solvent resistant which means it can be used in nail polish.